What does this Musical Love Quote tells us? Love Quotes bring an opportunity for us to reflect upon the multi-faceted emotion of Love. 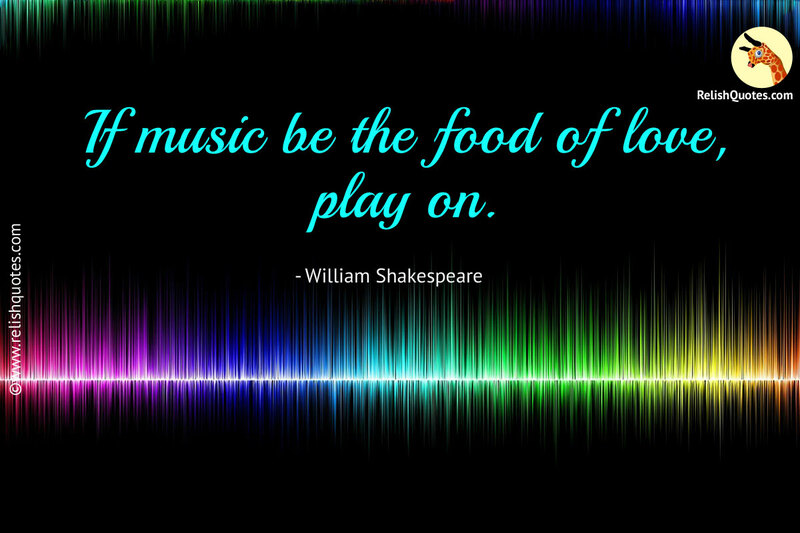 This beautiful Love Quote by The renowned playwright William Shakespeare brings together two most beautiful aspects of our life – Music and Love. Music is such a bounteous treasure of emotions that there is a tune, a melody and some notes of music always attached to the fabulous feeling of Love. Music gives voice, thought and feeling to those unsaid words that your heart yearns to tell the world. It is through the melodious way and medium of Music, that one soul expresses the most complicated of feelings Music works as a bridge between two souls and gives an obstacle free vent to your sentiments and passion. One of the most oft quoted lines throughout the world; this quote on unrequited love finds its place in the prestigious play in Act 1 and Scene 1 of Twelfth Night. Music is one food that soul can never have enough of. The food of Music is immensely and whole-heartedly savoured by the Soul. The soul gets satiated and finds tranquillity and calmness beyond levels of belief. Music fills the soul with the emotion of love. Music provides sublime pleasure to the soul and aids in unrestricted and easy expressions of the feelings, which have been longing for freedom. Music is the only way that the soul feels comforted. Music liberates the soul of every negative emotion like, sadness, pain, hatred, jealousy, misery, desolation and gloom. The soul feels cleansed and purified with the help of music. The food of Music satiates the soul, lending it a fulfilled and satisfied feeling. There is absolutely nothing in the world that can share camaraderie with the soul, as closely as music does. William Shakespeare has used the mighty sword of his pen and inked these beautiful words for generations to be inspired by them. It is Music and solely music, which can give the Soul the feeling of being whole and complete.